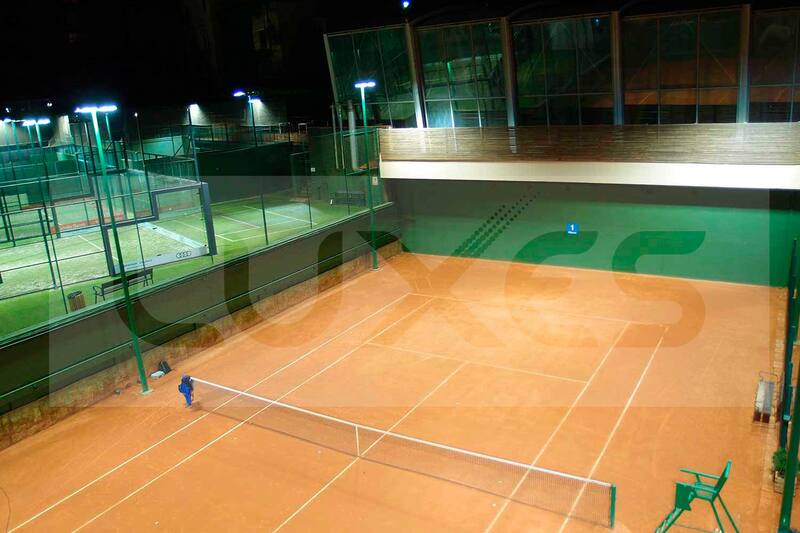 Club Tennis Barcino has relied on us for the application of LED technology in its sports facilities to reduce electricity consumption and lower costs. 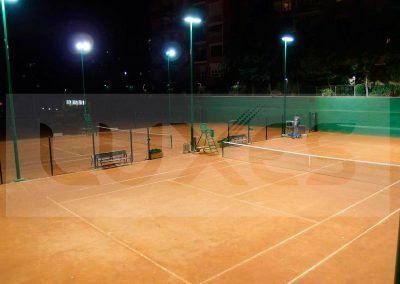 Throughout this post we show the lighting solutions of tennis courts achieved. 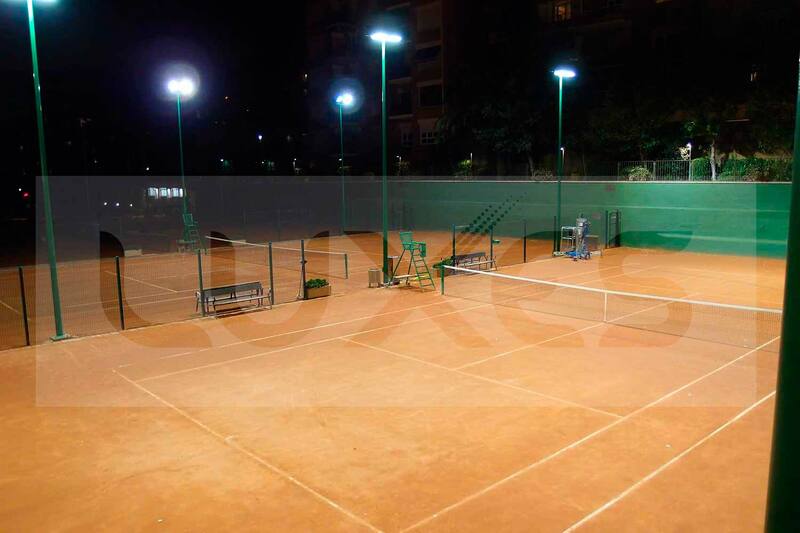 The LED emits a light with high contrast, continuous, directional, very clear and with a high uniformity obtained by its photometry studied for this type of sports tracks. 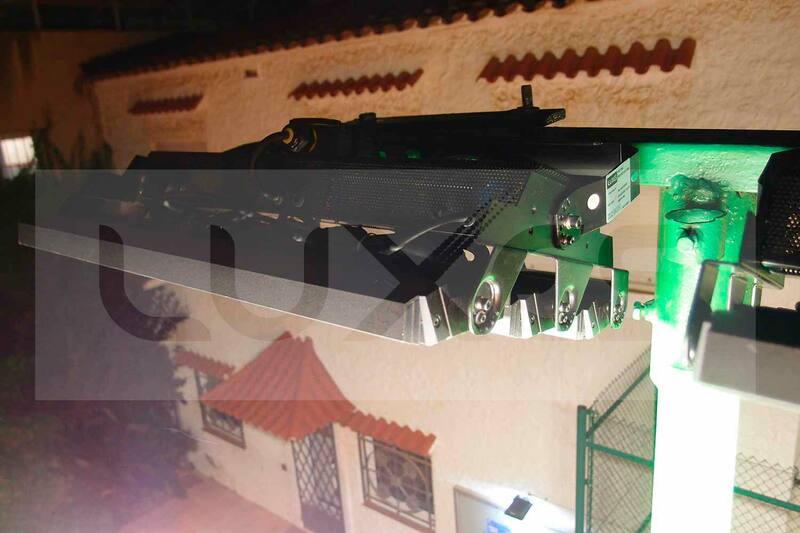 It is also suitable for all areas as this light source reduces light pollution and improves energy savings. Depending on the type of lighting, the power consumption drops drastically when we install our LED projector, even lowering the power and obtaining a better return on investment (ROI). 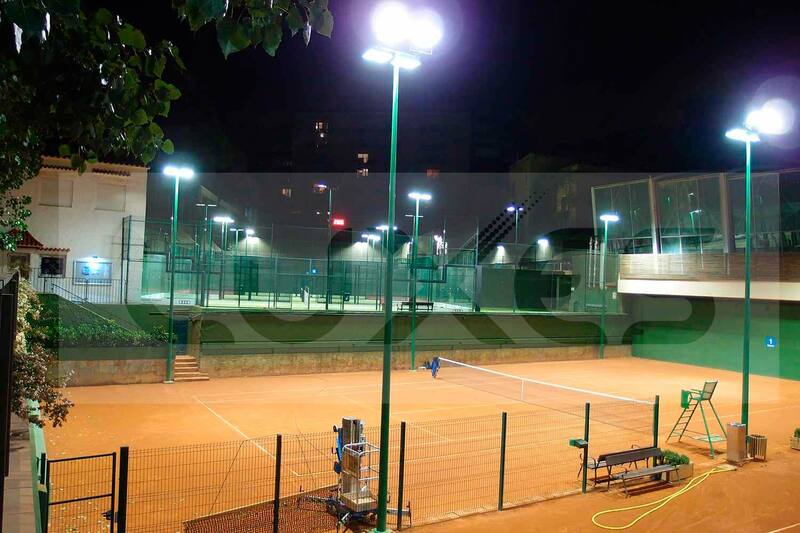 The long life of the LED carries a great saving in replacements and an almost total unconcern of the maintenance personnel and spare parts. 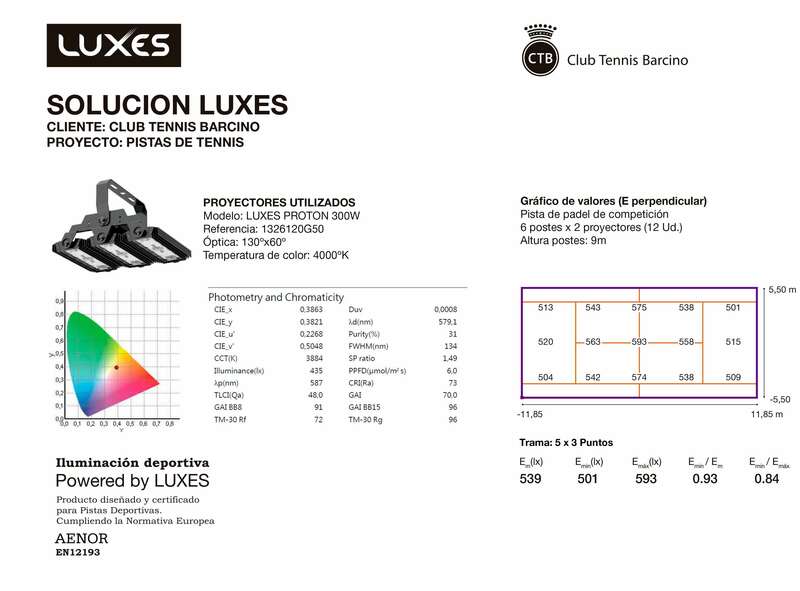 The result of the illumination obtained with LED shows us that they improve remarkably the sharpness, uniformity, chromatic and clarity. Proper post placement and orientation are essential for good visibility. 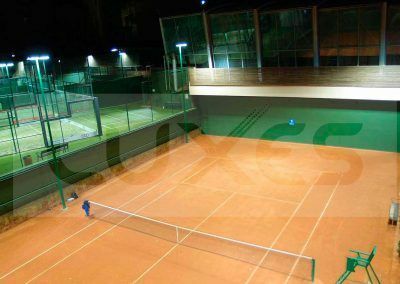 For lighting in sports facilities, the PROTÓN luminaire is recommended, which guarantees up to 60% less power consumption than traditional light sources, and multiple mounting and orientation options. 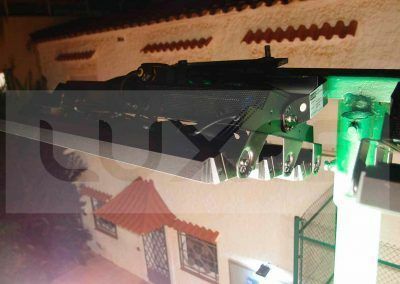 The product used in this project has been our PROTON projector. 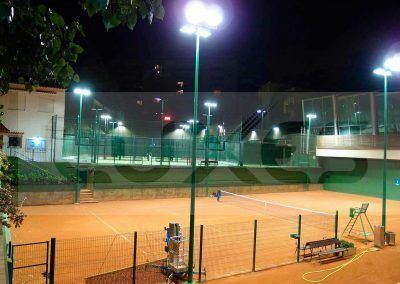 Ideal for projects that require great light and resistance, such as road lighting, sports spaces, tunnels and complex high-tech systems. 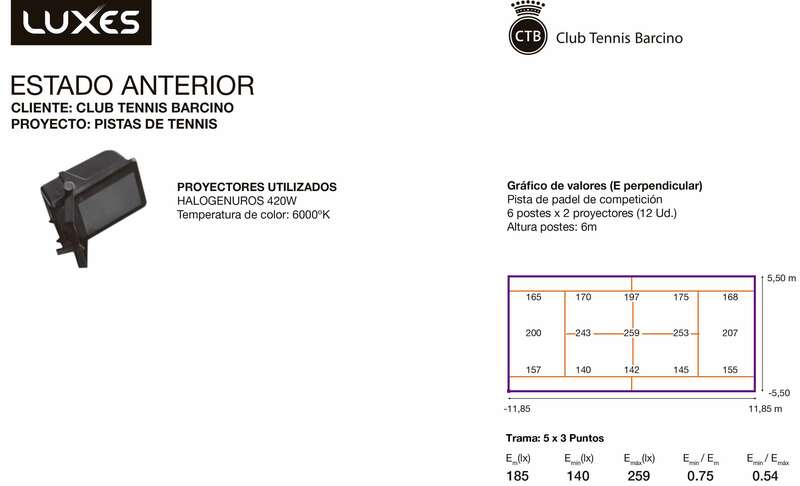 The product that Club Tennis Barcino was using was a projector of greater power.